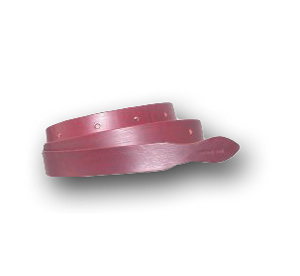 Cowhorse Equipment latigo tie straps are cut from the best latigo leather available. 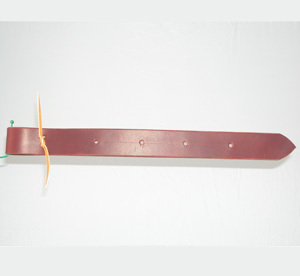 The straps are 6' long, 1 3/4" wide, and the cinch buckle holes are 2 1/2" apart. They are finished with a decorative cut at the end, hand rubbed and finished like no other for our customers. Cowhorse Equipment off billets are 1 3/4" wide by 18 1/2" long when doubled. 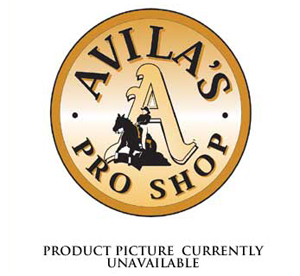 They are cut from the same great latigo leather as our tie straps with the 1/4" cinch buckle holes 3" apart.